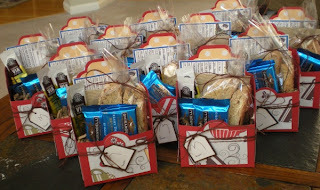 Just finished the Teacher gifts. Sad part is these would have been done earlier today had I had 1 more bag of the Kraft packing shreds. Jason's car was at the shop to get the AC tuned up before our trip on Monday so I was stuck at home today and I only had 3 more of these to add shred to to be done... so on the way to get the car we got the shreds and now I am done. 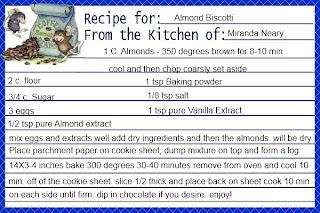 I added in the recipe card for the Almond Biscotti we made yesterday as well. Found an adorable free recipe card online with 2 little mice Playing in a coffee bean bag. As you can see I made 12 of these little boxes for her teachers, para's and bus drivers. Miranda has a very large group of people that work with her. 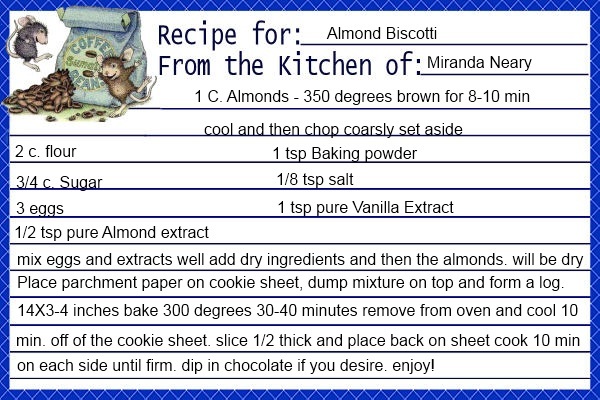 Added the recipe card here to show you all how cute it is. I typed the recipe on Paint.net not perfect but it will do. 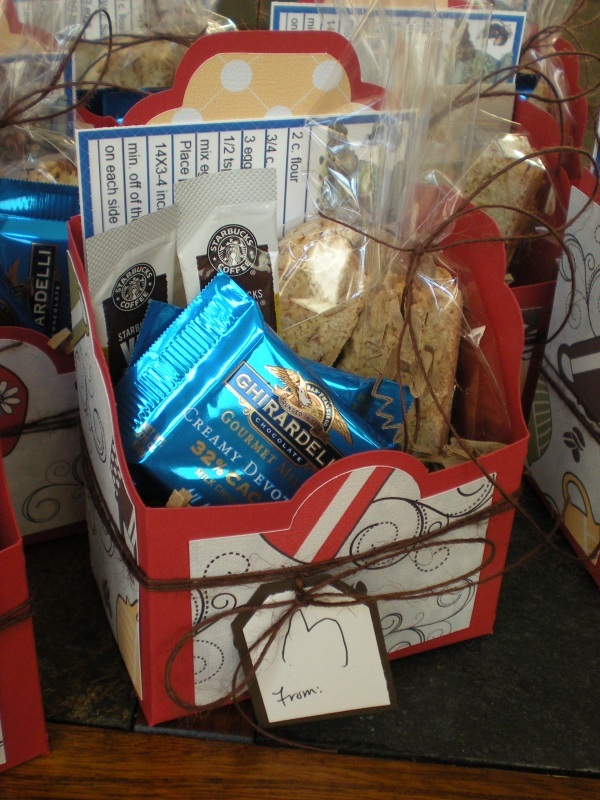 You have to admit it is quite cute those little mice playing in the coffee beans and perfect for the gift. I only give giftcards to my kids daycare teachers (in a photo Christmas card). I'm sure other gifts would be appreciated, but my mom was an elementary school teacher for many years, and she got way too many knicknacks and Christmas Gifts. That sounds so sweet. I give these because my youngest daughter is special needs and her teachers go the extra mile to make sure she is staying on target. My other children at this stage of school (sophomore) Were giving to teachers they wanted to out of there pockets with a little help from me on small projects. Miranda being special needs can't of course so this is my contribution. The other thing is I can't give a lot so I budget $5 each on Starbucks I wish I could do more but with 10 teachers and para's and 2 bus drivers it adds up. That's why I started adding in little extras. Also I skip teacher appreciation week and any other things I just do Christmas and end of the year. I would really go broke!